Over the past decade, social media has completely transformed the way people create, consume and share content. Year over year, the sheer volume of content in the world has grown exponentially, and today, more than two billion user-generated photos are posted and viewed across social media platforms daily. But social media has not only changed how people share, but what people share as well. Traditional photo albums are usually mostly filled with life moments like birthdays, vacations, graduations and anniversaries. Today, however, events that are deemed worthy of documentation have expanded to include life’s micro-moments including things like favorite outfits, a home redecoration and, of course, brunch. With this new behavior in how people interact with one another, retailers need to adapt how they communicate, market and position products accordingly. The best way to do this is by leveraging the user-generated content (UGC) people are already proactively putting out into the social-sphere. Pulling user-generated content into your brand’s communications is an effective way to showcase your fans’ loyalty and demonstrate how your products can be authentically used or worn in every day life. But while virtually all marketers can agree that being authentic with consumers is ideal, there are a few different ways to approach this. Perhaps one of the most effective ways to build buzz and interest for your brand is to grow a large fanbase who will proudly shout their love for your products, especially younger generations. According to a recent study by Olapic, 53% of millennials say user-generated content influences their product purchases. Calvin Klein is an example of a brand that clearly understands the importance of this power. With its wildly successful #MyCalvins campaign, the brand has not only resurged its popularity but also amassed a huge social following and catalog of user-generated content. In 2014, celebrity endorsements for the brand sneakily started popping up across Instagram. Selected influencers such as blogger Leandra Medine, model Miranda Kerr and singer Fergie began posting low key, authentic photos of themselves in gifted Calvin Klein sports bras, bikini bottoms and boxer briefs, and all tagged with #MyCalvins. Once the initial phase gained enough momentum, Calvin Klein enlisted arguably the most influential millennials, Justin Bieber and Kendall Jenner, to headline a full blown editorial campaign. (Wise choices since together the two boast 125 million Instagram followers). According to WWD, Calvin Klein earned 3.6 million additional followers across its social channel shortly after the campaign launched. Fast forward to today, and the brand has more user-generated content than it knows what to do with. Currently there are 47,998 posts on Instagram tagged with #MyCalvins, with that number growing daily. As the campaign continues to evolve (and stir controversy) the brand proudly showcases a carefully curated collection of submitted user-generated content on a #MyCalvins microsite. Another way to leverage user-generated content, is to provide a platform for your shoppers to share opinions, feedback and reviews with one another. In a time where consumers are voicing frustrations with over-the-top photoshop and a lack of diversity in models, shoppers are turning to each other to show how clothing can be worn different ways on different body types. Not surprisingly, 63% of consumers trust user-generated content more than other branded images and 32% of consumers say they’d be more likely to buy clothing online if photos feature real people wearing it. In essence, styled photoshoots are great for inspiration, but people also want to know how real clothes fit on real people. Rent the Runway is a brand that has listened to its audience and promotes user-generated reviews to help shoppers with purchase decisions. Shoppers can sort through reviews to find someone with a similar build, size and age to help them conceptualize how a dress will fit, how to style it and ultimately choose which dress and size to order. By pulling in these authentic, user-generated photos, Rent the Runway has established itself as a brand is helpful and a trustworthy resource for its shoppers. The eCommerce buyer journey doesn’t only exist on a retailer’s website. Email is one of the most popular channels retailers use to engage with new and returning shoppers. Triggered emails are especially powerful to re-engage shoppers who have abandoned some type of action on your site, such as Abandoned Cart, Abandoned Search or Abandoned Browse. While these emails are powerful in their own right, they are even more so when they incorporate personalized, user-generated content. Bluecore clients can now do this thanks to a new partnership we’re excited to announce with visual content platform, Olapic. By pairing Bluecore’s consumer and product catalog data with Olapic’s curated, user-generated content, retailers now have the power to deliver authentic and real-time emails that are uniquely tailored to consumers’ interests. Living Spaces is a furniture retailer doing just that. With the mission of bringing style, quality and affordability to shoppers, the brand not only sells an impressive assortment of furniture and home accessories, but they also stir the imagination and inspire with great home design. Looking to uplift the inspiration for their customers through email, Living Spaces enlisted Bluecore and Olapic to help with its own user-generated content campaign, #MyLivingSpaces. This visualization and authenticity through user-generated content directly correlates to revenue and engagement. On average, Olapic found that retailers that use its user-generated content in email see a 43% increase in click-through rates and a 2-3X conversion rate. As the consumer behavior continues to evolve, so will the way retailers market to them. 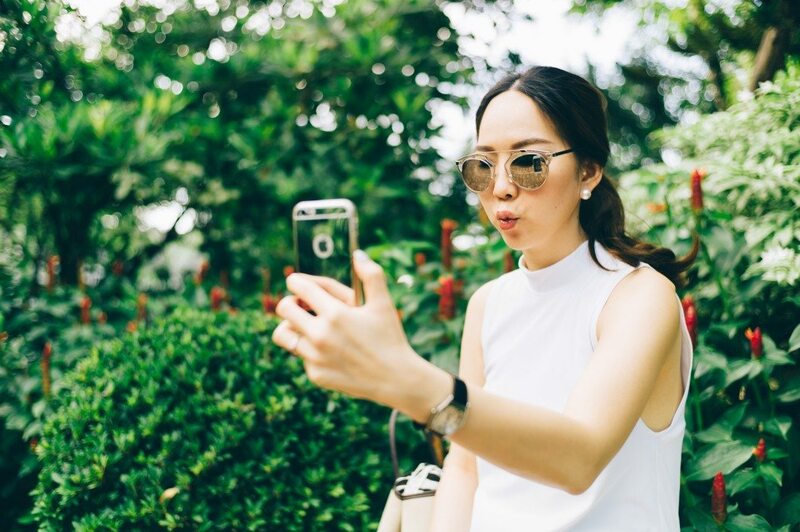 Although these are just three ways to leverage user-generated content in marketing, authenticity is trend that has proven to be important to shoppers and doesn’t show signs of going away anytime soon.